We have exciting career opportunities for talented professionals interested in joining our Economic and Industry Analysis division at the Volpe Center http://www.volpe.dot.gov/ located in Kendall Square, Cambridge http://www.kendallsquare.org/. As part of our technical team, you will support consulting projects that assist our clients in the development and use of decision support tools, and in the analysis of policy and program options for transportation systems. You will work with several teams contributing to major projects and lead other smaller projects. Our work in interesting, challenging and contributes to the public good. For instance, we model the effects of policy options to improve fuel efficiency; use cost benefit analysis to recommend how much Congress should budget for highway improvements; and work with engineers to evaluate high-speed rail options; among other exciting projects. These are great opportunities for new professionals with strong quantitative background in economic data analysis who excel in an entrepreneurial and collaborative environment. You must have superb problem-solving, communication and presentation skills. Experience or interest in transportation is a plus. The John A. Volpe National Transportation Systems Center (Volpe Center) is an innovative, fee-for-service organization within the U.S Department of Transportation (DOT). 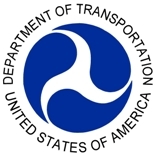 We work primarily for DOT, as well as other federal agencies and state, local, and international entities by providing comprehensive technical, analytical, and institutional support in the development and improvement of transportation and logistics systems. When you work at the Volpe Center you work with people like you: talented professionals who enjoy putting their expertise to work in the service of others and resolving real-world transportation problems. We are located in offer competitive benefits and a flexible and family-friendly work environment.